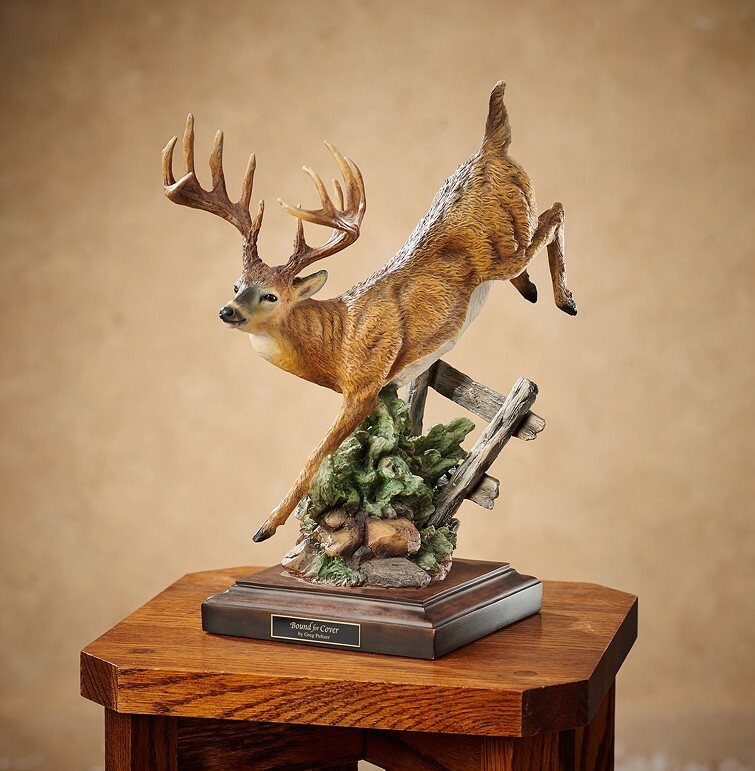 Bound for Cover – Whitetail Deer Sculpture features cold cast and hand-painted art. This realistic deer features cold cast and hand- painted in fine detail. It is 7"L x 13"H x 8-3/4"D.